Airblown Inflatable 2-Headed Ice/Fire Dragon Outdoor Halloween Decoration Frighten your friends with this animated Airblown. character. The two-headed dragon moves its wings and features colourful, swirling lights. Plug it in, stake it down and watch the magic of this Airblown. inflatable unfold! 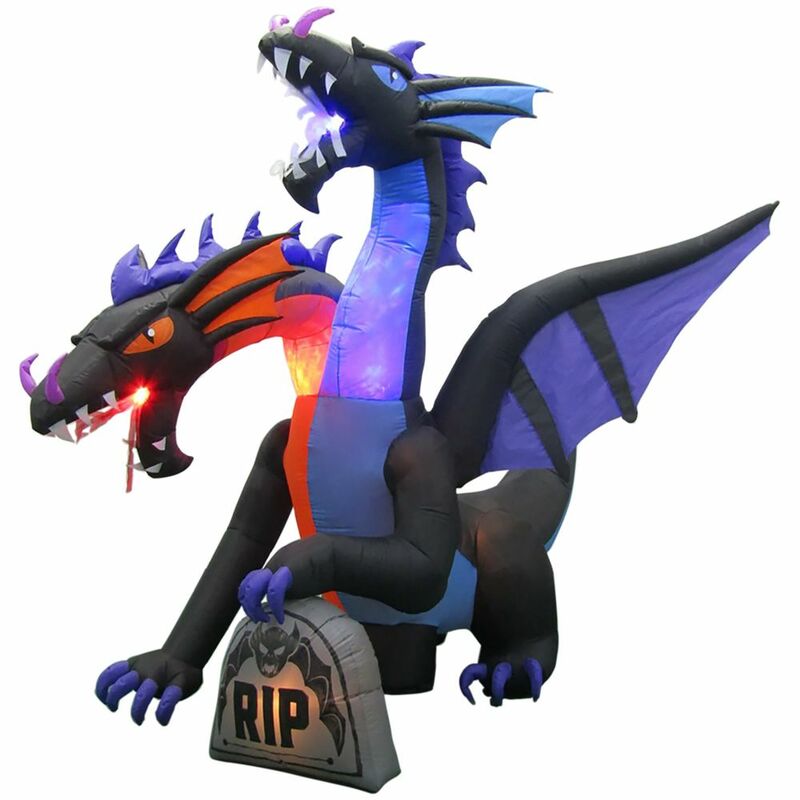 Airblown Inflatable 2-Headed Ice/Fire Dragon Outdoor Halloween Decoration is rated 5.0 out of 5 by 1.